Get help in the plugin support forum. This plugin creates a logbook for changes in an Eloquent model. The plugin also provides a Form Widget and Report Widget to display the log changes. 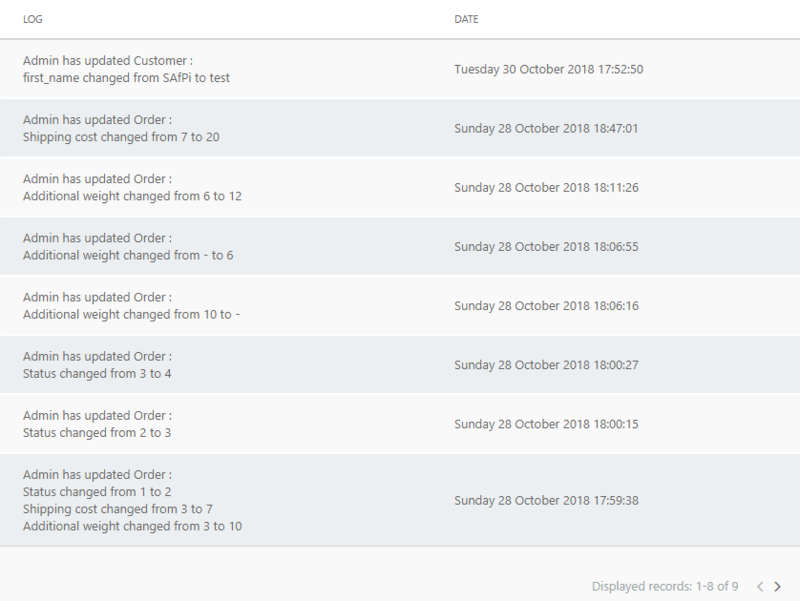 The Form Widget can also show logs of related models, so all changes can be visible. See the documentation how to use the logbook Form Widget and trait. Use the LogChanges trait in your model. This trait will automatically save changes from the model in the database. If you want to ignore fields that don't need the be logged, add this to your model. By default the updated_at field is ignored. * Here you can override the model name that is displayed in the log files. * The name is going to be translated when possible. If you want to delete the logs when the model is deleted you can add the following code to your model. * If false -&gt; a new log item will be created with status deleted. You can also override the displayed value. You have to add the following function to your model. If you want to hide the undo button for this model specifically, you can add $logBookUndoable to your model. You can also disable the undo button in the log book form widget. You can use the formwidget as follows: MAKE SURE TO SET AN UNDERSCORE IN FRONT OF THE FORM FIELD NAME. FOR EXAMPLE _logbook, because the Form Widget doesn't has a save value. 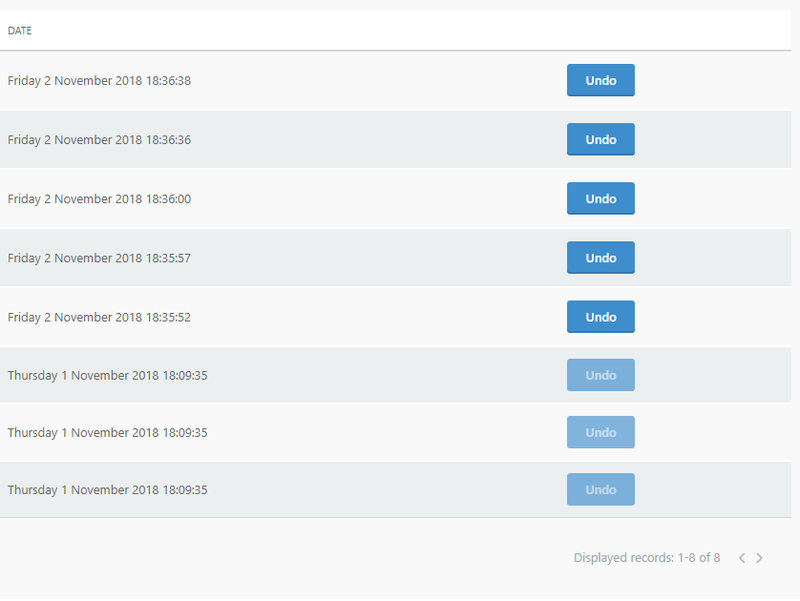 Add undo button to form widget and add report widget. Fix error when changing properties from the LogChanges trait.